MUSIC MAKES A DIFFERENCE! 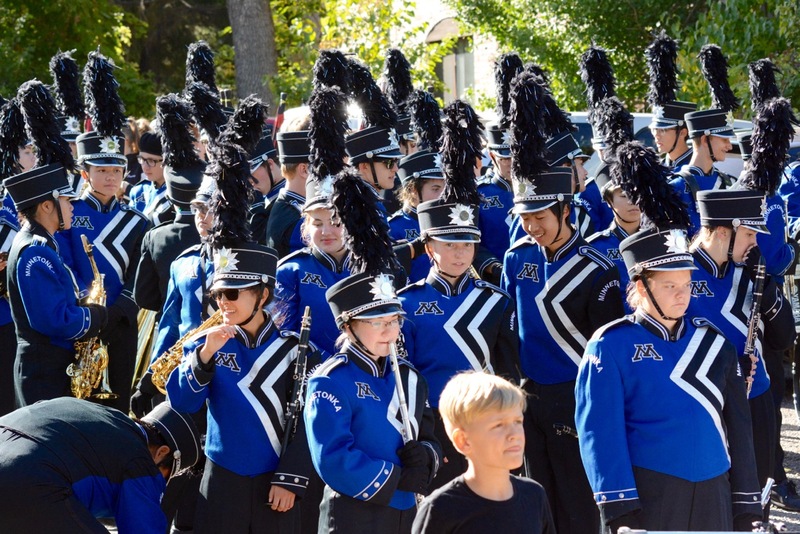 And the Minnetonka Band Boosters are dedicated to the support and promotion of the entire band program in their pursuit of musical excellence at Minnetonka High School. The boosters provide a wide variety of much needed services. Money we raise is used to hire guest artists, bands, conductors and instructors; it purchases music, instruments and equipment; and it provides scholarships for all-state students, travel study participants, marching band campers and more. We produce printed and online promotional materials. We help out at concerts, competitions, football games and parades – with everything from maintaining uniforms to hauling equipment to providing refreshments. We also organize banquets and other social events. Our meetings are held from late summer through the school year. Come help us plan and organize another exciting year for our students! Click here to download the membership form.